Happy hump day Party Girls! We’re throwing in a Wednesday bonus post for Canada say since its right around the corner and we know you may be scrambling! In fact, we have a NONSTOP Canada Day crunch on this week. We’ll be sharing our ideas for last minute ideas to help you be your patriotic best by Tuesday! The best part about today’s post is that you can customize it for any party, so it’s like a hump day UNIVERSAL treat. Yup. No joke, that’s seriously it. 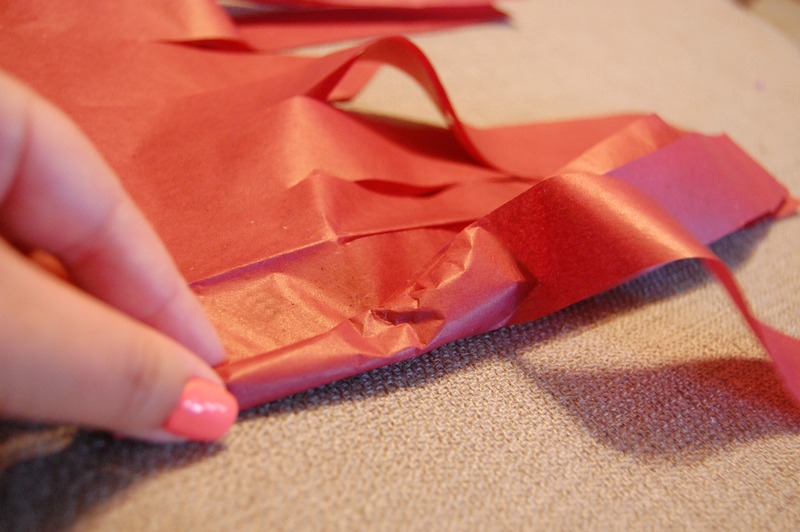 If you have ever wrapped a gift you have these materials lying around your house. It’s a no brainer. 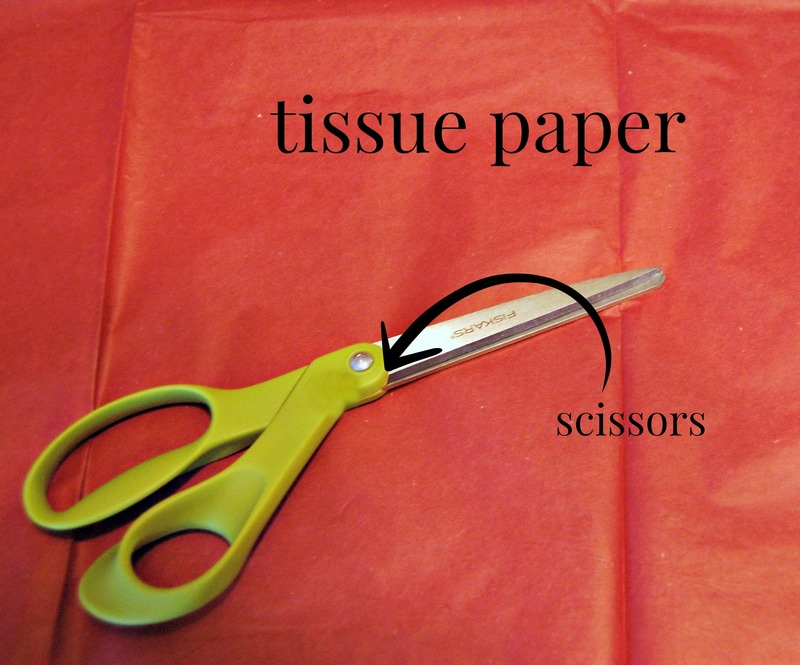 Fold your tissue paper in half length wise and cut slits arose the whole thing, creating a fringe. Open it up and turn it so that one of the non-fringed edges is facing you. 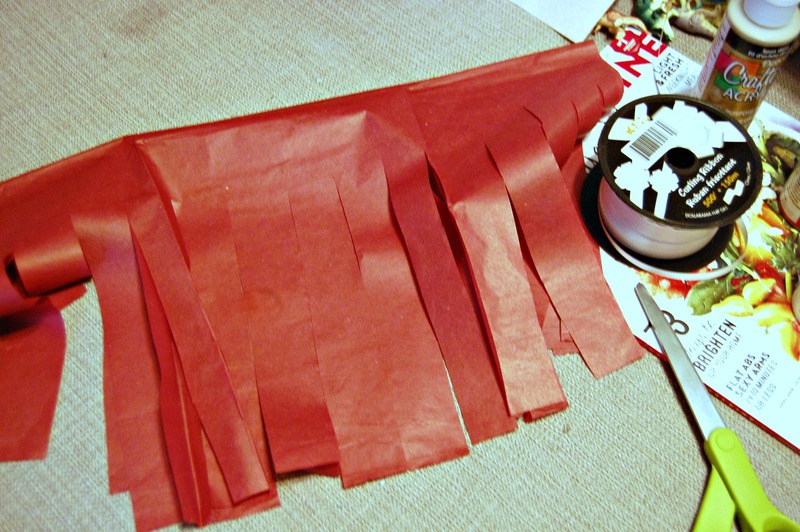 Start rolling the fringe super tight. The next picture should illustrate a bit better the shape you’re going for. 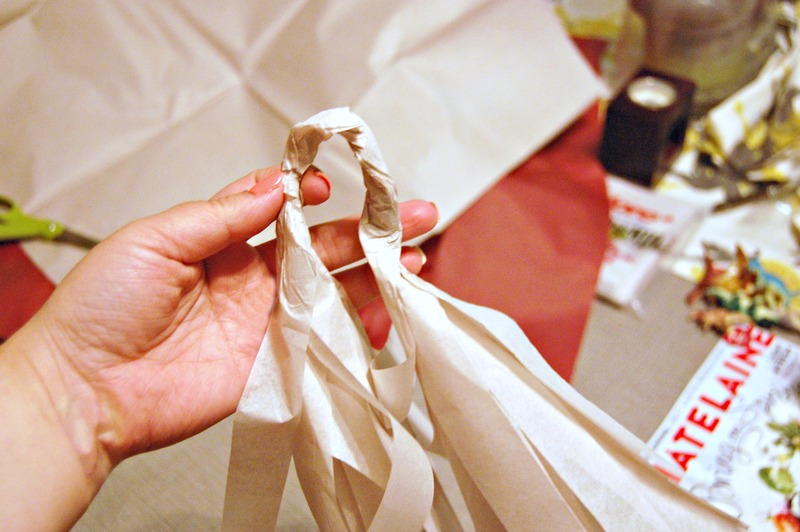 Basically you are rolling the tops together, but keep unravelling the fringe so that the tissue paper doesn’t rip. You’re going to want to go slow, to keep an eye on the fringes. You’ll have this middle piece rolled up tight at the end. 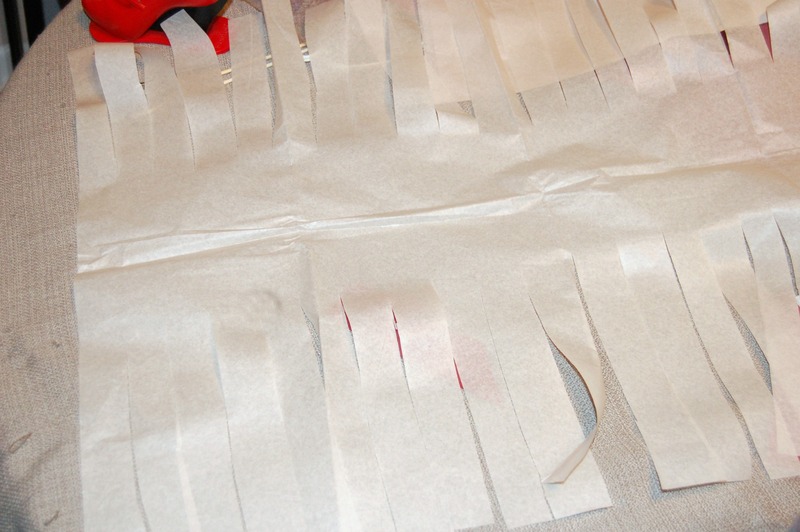 Stick your finger through the gap (where my finger is poking through) and twist around so the fringes are all together. String some ribbon through it and tape to secure. And that’s that! You can use any colour you want. 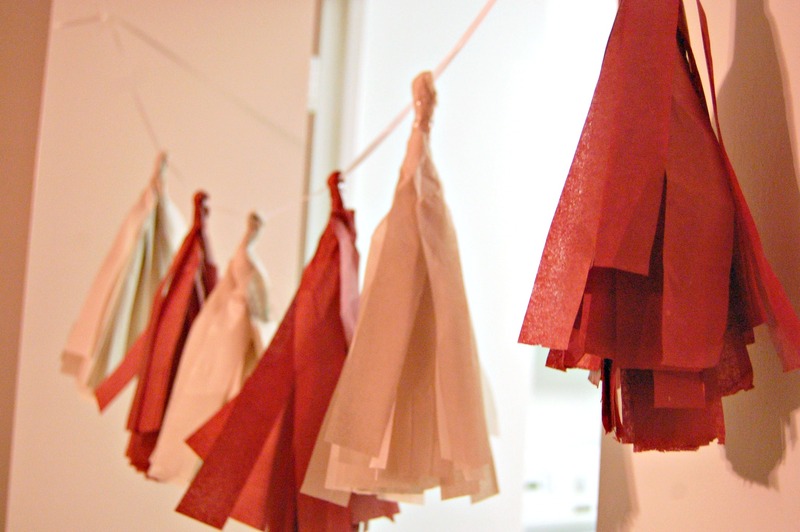 We chose some muted Canada Day tones so it would blend a little more subtly with decorations, but you can go for full on white and Christmas red if you want, or use the same instructions to make garlands for your next party. It’s a great project because it’s so easy, and it looks great! 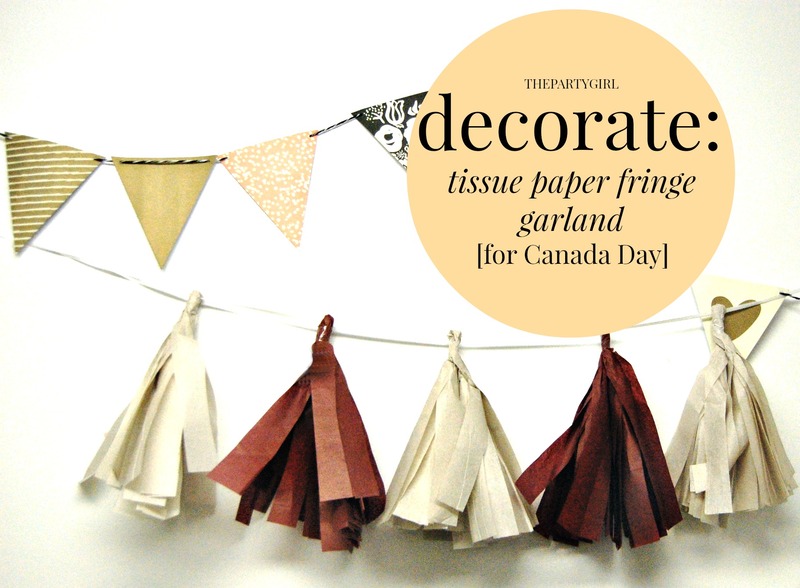 So there you go Party Girls, need a last minute decor facelift for you Canada Day BBQ?